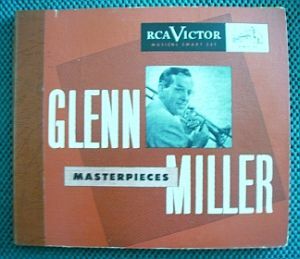 Here is an album of four double sided 78 RPM records by Glenn Miller. The album cover is in good condition with only a few minor tears and scuffs along the edges and corners. The spine is in good condition with only minor tears and scuffs along its edges.